Filing for a divorce is never what you expect when you take that walk down the aisle into forever with the “love of your life.” Unfortunately, it happens more often than not. If you find yourself in the midst of this unexpected situation, it’s best to hire a trained and experienced professional. In your time of need, a divorce lawyer will have your best interest in mind. Below are just a few more examples of why it’s best to hire a divorce lawyer to handle your case. Even in the friendliest of divorce cases, things may take a turn for the worst. It’s not wise to try and take care of things on your own. A qualified and educated lawyer will help you understand the ins and outs of the legal system. They will see to it that you get what is owed to you and ensure that the divorce is handled legally and as quickly as possible. It is a well-known fact that divorces can become heated; tears may flow and voices may be raised. As a result, your attorney will keep a calm and objective head when advising you of the proper procedures and best options made available for you. They will also advise you as to whether or not they feel your demands are actually reasonable. 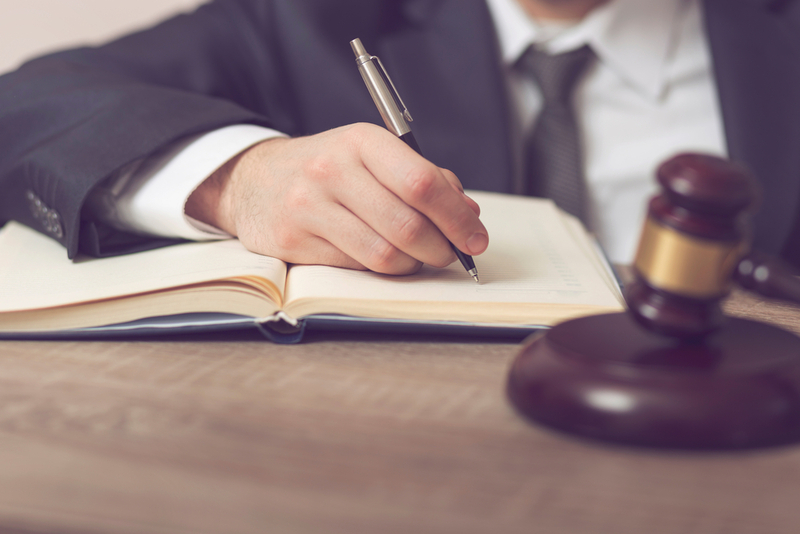 If your case should go to court, your lawyer will examine all the facts and inform you of your best possible options. They’ll also assist you in the process of creating a legal and acceptable settlement proposal so you can finally cast your worries aside. 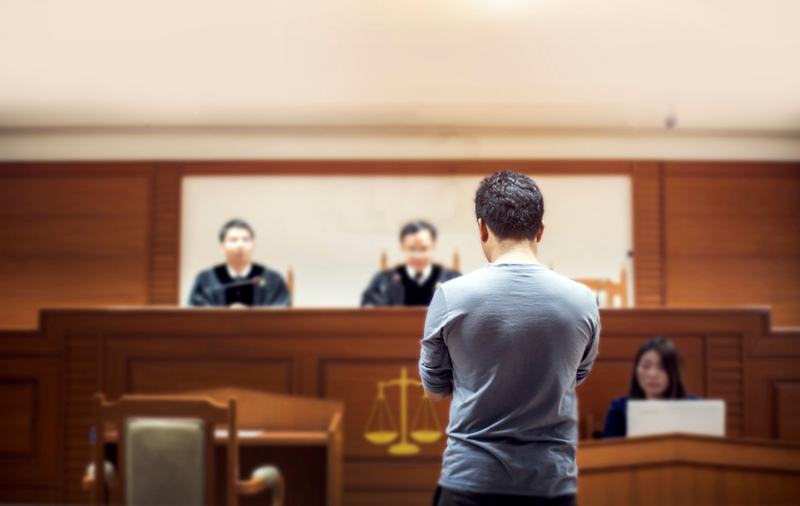 Failing to obtain a trusted attorney could result in more stress and delays in the long run. The right professional will also counsel you on whether or not you should settle with your soon to be ex-spouse or make a counteroffer. During your divorce process, there will be mountains of paperwork coming your way. 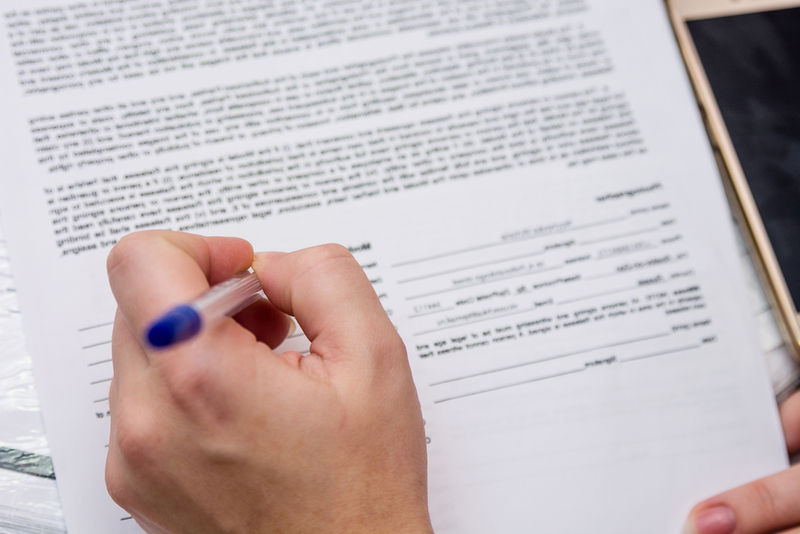 The average Joe may feel overwhelmed with all of these forms and fine print. It’s a legal expert’s job to help you make sense of it all so you can feel great about the journey ahead. They’ll go through all the hard stuff and let you know where to sign. In addition, if the forms need any amending, they’ll take care of it so you can rest easy. No one plans on getting divorced. But, if it happens to you, it’s best to be prepared. Give yourself a fighting chance by hiring a top-notch divorce attorney. Not only will they keep it as quick and painless as possible, but you can have peace of mind knowing that they’ll do all they can to get you the results you deserve! My best friend is planning to get a divorce from her husband and she is thinking of hiring a lawyer to keep everything as calm and smooth as possible, so I appreciate this article. It is interesting that you say a lawyer will help you to understand the legal process of the divorce and make sure that the case is handled legally and as quickly as possible. Also, the fact that the lawyer will handle the paperwork will give my friend peace of mind so that she can focus on other things and she will be less stressed through the process. I liked what you said about the lawyer being calm and objective and can help to make sure that you’re being reasonable and not emotional. My friend is going through a divorce and has been struggling with it on his own for a while now. I think that it would be good for him to hire a lawyer so that he doesn’t end up losing his cool when things get heated. I like what you said about how your divorce attorney will keep a calm and objective head when advising you of the proper procedures and best options available. My older sister is getting divorced and she is having a hard time being level-headed, so we’re hoping to find her a good lawyer who can help her. Thank you for the information about how one can advise you as to whether or not they feel your demands are actually reasonable. I like how you said that a family law attorney will help because they can help you understand the ins and outs of family law. This would be really great for my brother because he and his wife and going to be getting a divorce. If they could know a bit more about what is going on when they divorce they would have a more effective time doing it. Thanks for elaborating on the benefits of hiring a divorce lawyer for your case. I agree that one of the biggest benefits is that you get a different point of view from someone that hasn’t been involved at all. It helps to get input from someone who isn’t emotionally involved and it can probably save you a lot of trouble. When my parents divorced, they didn’t use a lawyer and the following arguments over what is actually required for visitation rights and child support have been upsetting. If I were to go through a divorce, I would want everything to be as clear as possible. I really appreciate your advice to hire a divorce attorney due to their help in completing the necessary forms properly so that you only have to worry about where to sign. I certainly agree with what you said that no one expects and plans to get divorced. Even my sister! However, after 3 years of suffering from her husband’s vices and womanizing, she decided to end things already. We are now looking for a divorce lawyer who will help her with her case. My friend is currently going through a divorce, as her husband was abusing her. Because of this, she’s been thinking about hiring a lawyer to help her. It was especially helpful when you mentioned that she’ll want to hire an educated and up to date lawyer, as divorce cases can be hectic. These tips will help my friend find a great lawyer, so thank you for sharing this. I really like the idea of having a problem solver when hiring someone in family law. I think if I were to get a divorce, I would love to have someone who could solve problems because I am sure that there would be a lot of them! I want to make sure we would get everything sorted out evenly. Thanks for pointing out that a divorce attorney will help you keep a level head during this emotional time, and can advise you on how reasonable your demands are. My husband and I recently decided to get divorced, and I’ve been trying to decide whether to hire a divorce attorney. I feel pretty emotional and know I could benefit from an objective influence on my team, so I think I’ll take your advice and hire a divorce lawyer. My brother and his wife are getting a divorce, and I think that it would benefit him highly to get a family lawyer. They really aren’t good at solving problems together, so if an attorney can help them to write up a settlement they can agree on it would be great. I will have to tell him what an attorney can do for him. I think that it would be very important for a lawyer to be able to keep a calm and objective head. My parents are getting divorced and things are already starting to get heated. I think they would benefit highly to get a divorce attorney. I would love to have a divorce attorney that was educated on the ins and outs of the law. I probably don’t know everything about each of the laws. If my marriage were to end and we got a divorce, it would be important for everything to be fair. It is really important to me to have a divorce lawyer who knows the ins and outs of the law so that things are even and fair. My wife and I are separated and decided to get a divorce. I am thinking about getting a divorce lawyer so that we can get everything sorted out correctly and fairly. If there is a trouble when I am going through my divorce for some reason during a court case, I would want a lawyer who can solve problems. I want the lawyer to be able to think through the options and suggest the best ones. Lately, my wife and I have been heated when talking about who gets what and such, and I think it would just be best for me to get a lawyer. I like how you mentioned that a divorce lawyer can help you understand the ins and outs of the legal system, and take care of the paperwork for you. My friend is going through a hard divorce, and isn’t sure what she should do to take care of all the legal procedures and make sure she’s doing everything right. I’ll recommend that she look for a reliable and educated divorce lawyer in her area who can help represent her and keep her informed on her legal options, to take the logistical stress off of her during this difficult time. I love what you said about divorce lawyers keeping a calm and objective head during a trying time. I think that hiring a divorce lawyer is crucial to act as a mediator and ensure the justice is the priority. I have a friend who is considering divorce, so I’ll be sure to stress the importance of a good divorce lawyer to him if he ends up going through with it. You are totally right that I would feel overwhelmed with all of the forms and fine print. That would be great to get a lawyer for my divorce so that these papers don’t stress me out too much. This way I can focus more on other stuff while the lawyer helps with the paperwork. A divorce lawyer will make sure that you are protected. Unless you have formal education or experience in law, you won’t know how to protect yourself. My wife and I have decided to get a divorce, and I would like to be prepared for the worst by getting a lawyer to help me out. If they can give me the best possible options for anything that may arise, that sounds amazing. I can guarantee there may be a few problems to sort out, so it would be nice to have someone there who can help out with the problem-solving. I appreciate how you said that a divorce attorney will help to keep everybody calm while trying to work out the specifics of the divorce. My brother and his wife have decided that they want a divorce and I know my brother, who can sometimes get a little heated. Getting a divorce lawyer involved would be good to help him keep his cool I think. I like how you said that a professional can counsel you on whether or not you should settle with your soon to be ex-spouse or make a counteroffer. It makes sense that a divorce attorney would know exactly what to do in situations like these because they’ve been through the process so much. I think that my best friend would love hearing this information because she is having a tough time divorcing her husband right now. I’ll let her know so she can start looking for an attorney to guide her through the process. Something that I have always hated to do for anything was paperwork. If a divorce lawyer could do that for me when helping my wife and I get divorced then that would be great. A lawyer would be great if it means less work for me in this situation so I can cope with what is happening. I liked what you said about how your attorney can be a calm and objective head in the middle of your personal crisis. My sister is divorcing her husband and she really needs a good lawyer to help her out and keep her decisions strong and rational. Thank you for the information about how a divorce lawyer will also advise her on whether or not her demands are actually reasonable. My wife and I are currently splitting up, so thanks for sharing this. I like your point about how a lawyer can help you deal with the mountain of paperwork that’s coming. I’ll be sure to find a lawyer that can keep up on all the legal documents so everything goes smoothly. That is a good point that for a divorce process that there will be a mountain of paperwork coming my way. It would be great for me to hire a lawyer to help me go through the paperwork and check everything. Paperwork is something that I have never been too thorough with but it would be good for me to do so. Something that I have never really been very good at is being a problem solver in my life. It would be great to have a family law attorney there when my wife and I get divorced. That way if problems ever arise then I can trust that they will help us to solve the problem. I personally don’t mind getting added education that you mentioned that a divorce attorney can provide as long as it can help me with my divorce. Getting someone who has objectivity you pointed out as their strength should help me get the necessary actions I’ll need to do to make sure it’s successful. Since I heard that they tend to be great problem solvers as well as you said, then a good attorney should be able to assess how to deal with our children’s rights for custody as well.